If you’ve ever sat at a poker table and dreamed of being somewhere like the World Series of Poker (WSOP), you’ll know that the road to the big stage can be an arduous one. With ups, downs and everything else in between inevitable, making it to the $10,000 WSOP Main Event is tricky at best and, in some cases, impossible. However, there is another way. For those that are willing to move across the felt and deal cards rather than play them, enjoying the buzz of poker’s biggest event is well within reach. Of course, before you can deal to some of the best players in the game, you need to know what you’re doing. With this in mind, here are the steps you need to take if you want to become a professional poker dealer. Mental Arithmetic: If you can’t add, subtract and divide multiple sums of money on the fly, you won’t make it as a poker dealer. Sociable: At the end of the day, people are playing poker to have fun. As the dealer, you play a huge part in making sure the game runs smoothly and, in turn, is entertaining. Details: Poker dealers are notoriously detail oriented. On top of that, you need to be able to multitask. Without these skills, you can miss a vital part of a hand. Patience: There are times when poker can be slow and mundane. As a dealer, you can’t get involved in the action, even if a player is taking too much time to make a decision. In essence, patience is a virtue and it’s one you need if you want this to be your career. To become a professional dealer a reputable casino wants to employ, you need to enrol on an accredited training course. Depending on where you live, the options will vary. However, in the UK, you can use The Gaming Academy. Running courses across the country, this company will take you from a novice to a decent level of proficiency within six weeks. Although you’ll have to refine your skills, these courses teach you the basics of dealing all forms of poker as well as other casino games such as blackjack. Additionally, you’ll learn techniques to handle irate players and, importantly, how to spot signs of problem gambling. With the latter being a hot topic in the industry right now, having this skill will make you a lot more desirable to potential employers. 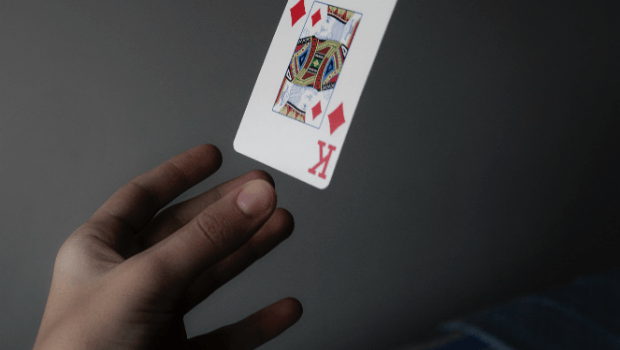 Learning the theory and honing your dexterity with a deck of cards is all well and good when you’re in private, but the only way you’ll know if you’re ready is to deal a live game. Now, we’re not suggesting you jump on to the high-stakes tables at your local casino. However, it is useful to get some first-hand experience. Our tip is to arrange a small-stakes cash game. The reason cash games are a better way to practice is because there is often more action straight from the start. Although tournaments will heat up in the latter stages, you can go through long periods of players raising pre-flop and taking the blinds. In live cash games, especially low-stakes ones, nobody likes to fold. Because of that, you’ll get plenty of opportunities to calculate pot sizes, handle split pots and keep tabs on who’s active and who isn’t. Once you’ve honed your skills, it’s time to up the ante and see if you can make your way to the WSOP.